DR. ALAN STERN is principal investigator of the New Horizons mission, leading NASA’s exploration of the Pluto system and the Kuiper Belt. A planetary scientist, space-program executive, aerospace consultant, and author, he has participated in over two dozen scientific space missions and has been involved at the highest levels in several aspects of American space exploration. Dr. Stern is the recipient of numerous awards, including the 2016 Carl Sagan Memorial Award of the American Astronautical Society, and has twice been named to the Time 100. He lives in Colorado. DR. DAVID GRINSPOON is an astrobiologist, award-winning science communicator, and prize-winning author. In 2013 he was appointed the inaugural chair of astrobiology at the Library of Congress. He is a frequent advisor to NASA on space-exploration strategy, and is on the science teams for several interplanetary spacecraft missions. 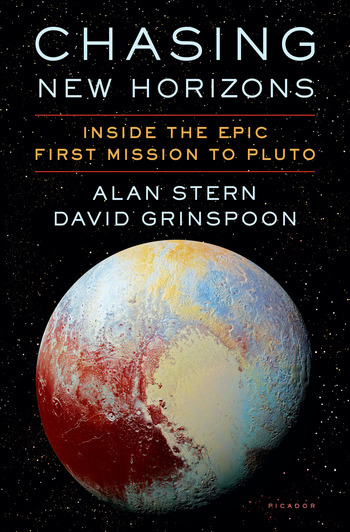 Grinspoon's previous books include Earth in Human Hands (2016) and his writing has appeared inThe New York Times, Slate, Scientific American, Los Angeles Times, and others. He lives in Washington, DC.